Rothrock Massage wants to provide you with the best therapeutic massage experience you may ever have. 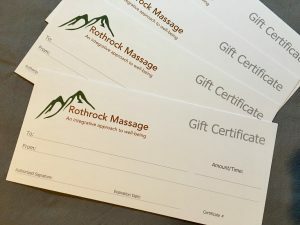 Rothrock Massage incorporates components of sports massage, deep tissue massage, Swedish massage, trigger point work, and myofascial release therapy and bodywork. Any or all of these modalities can be built into one massage session. Together we will create a plan the best meets your needs to reduce your stress and discomfort. Regular massage not only soothes the muscles of the body but also improves circulation and lymphatic flow while stimulating the nervous and immune systems. Let me work with you to review your individual needs, present/past injuries, and bodywork preferences. Together we will create an integrative session that will improve your well-being. Over the past two years I have provided sports massage therapy for several of the Penn State athletic teams such as football, women’s gymnastics, men’s and women’s track and wrestling. 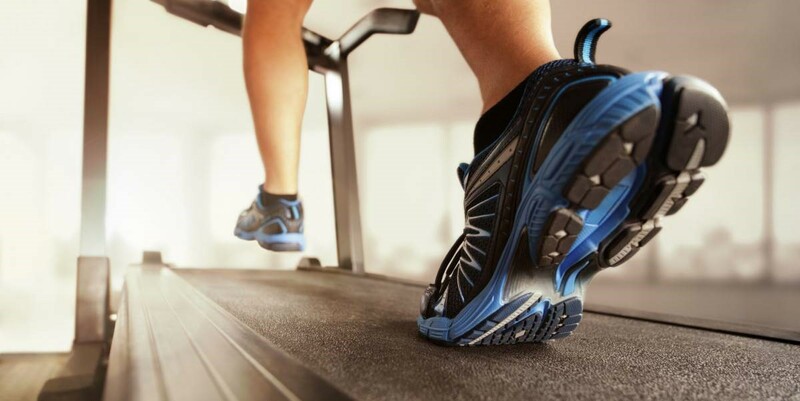 Regularly working with a massage therapist has allowed these athletes to recover from competition, normal workouts, and even return from sports related injuries more quickly than without receiving massage. Whether your life revolves around athletics or if you are simply a weekend warrior I can help you perform at your maximum potential through massage therapy. Tapping into your deepest potential starts with making the conscious choice to put time aside for relaxation and restorative practices. Rothrock Massage would like to encourage and support you on your path to optimal health. Escape your everyday cares with a massage and start the journey to the wellness you deserve. Alan provided a fantastic massage that cleared up my extremely tight neck and shoulders. As a lifelong athlete having had professional massages previously, I was impressed with his skill to identify problem areas and repertoire of techniques to loosen them up. He was also very mindful of my comfort and pressure preferences. I have been a body worker for over 25 years, and Rothrock Massage is where I go for the best massage in the area. Alan cares about people,and is a gifted therapist. I highly recommend him. I had an enjoyable therapeutic massage at Rothrock Massage. The space is serene and professional, and Alan has an intelligent, organized way of massaging, in that he is attentive to individual needs and he has a tool box of intuitive techniques to relieve tension. A great, healing experience! Thanks Alan! I’ve had issues with my lower back and legs for a while. I’ve visited Alan three times now and haven’t felt this good in a while. I will be visiting Rothrock Massage on a regular basis now. Purchase gift certificates and massage packages. Make someone’s day by purchasing a gift certificate. These are the perfect gift for any occasion and will always be appreciated. Take a few minutes to learn more about the benefits of massage therapy as well as what style of therapy would best suit your needs. You have the option to book and pre-pay for your appointments online at your convenience. We use Schedulicity to provide you with the ease of checking appointment availability and your reservations. If you have questions or concerns you may call or email us. Address: 3943 South Atherton St. State College, PA 16801 – Open in Google Map view.